Item sold in auction: Auction 87: Lake Champlain & Colony Collections. Closed On: Monday, May 15, 2006 6:15 PM. Light proof-like fields. Strong luster for the grade. 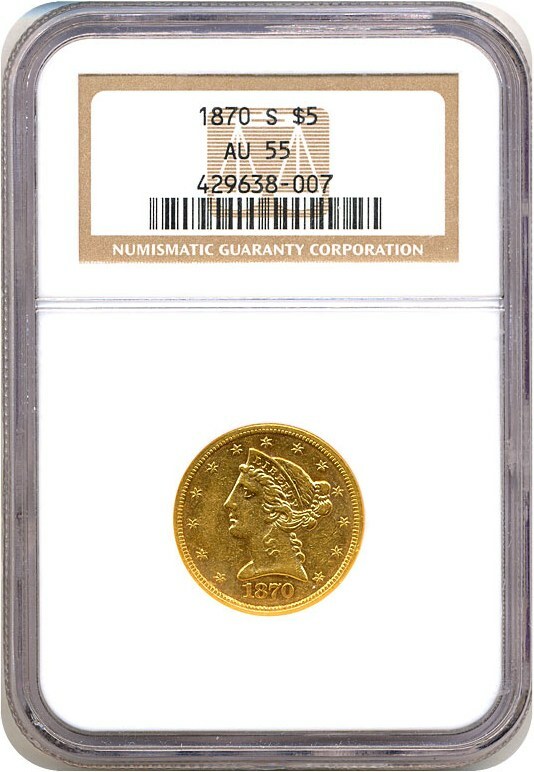 Mintage of only 17,000 coins and tough in any Uncirculated grade, with a population of 13 combined and just 2 higher at NGC.